Ferrari Formula 1 boss Maurizio Arrivabene believes Sebastian Vettel and Kimi Raikkonen are the “perfect combination” for the Scuderia this season. Four-time world champion Vettel and 2007 title winner Raikkonen have become team-mates for the first time in their respective F1 careers in 2015, following Vettel’s switch from Red Bull. Arrivabene reckons the two have contrasting personalities, but that the combination is the right one to aid Ferrari’s competitive recovery. 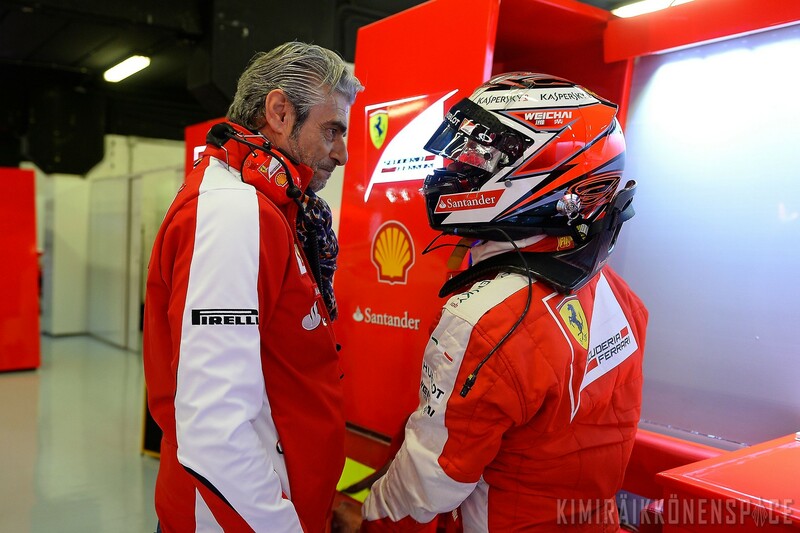 “They are two different characters,” said Arrivabene, who described Vettel as a “Ferrari enthusiast”. “Kimi the kind of person who doesn’t like to talk about stupid things; he likes to talk serious. “Either you find after a couple of minutes he stops talking and gives you the hand, or after a couple of hours he’s hugging you! “The guys said this is strange. Drivers are strange. But he’s a very good guy and a good driver. “Seb is different – super professional. He reminds me of another German guy… [Michael Schumacher]. “I was impressed with the concentration and how he works on detail on the car. He’s taking notes and talking about these notes at the briefings. It’s great. “We have two different drivers but they are both really committed. “Sebastian is fully integrated into the team, he’s 120 per cent part of the family. “He’s also a funny guy. He’s a super person with his feet on the ground; very simple but I’m not surprised he won four world titles. “After Michael, Kimi was the only world champion for Ferrari.